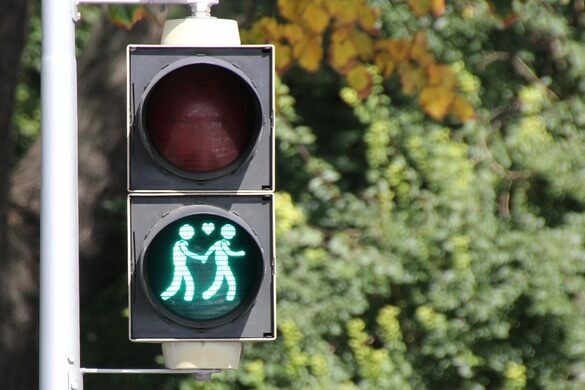 Walk around Vienna’s city center, and you’ll likely spot traffic lights that celebrate diversity guiding you across the streets. These fixtures were inspired by Europe’s most politically charged and sequin-strewn annual popular culture event: The Eurovision Song Contest. Debuting in Switzerland in 1956 as an idea for post-World War II reconciliation, the Eurovision Song Contest has both entertained and perplexed in equal measure. Held annually, the contest sees overs 50 countries battling in front of a live television audience of over 180 million to have their song proclaimed the Eurovsion winner. In return, the winning country gains the rather dubious honor of staging the next year’s contest, though the cost of this would, in actuality, bankrupt many of the tiny micro-nations that compete. Voting is through a combination of national juries and popular votes, with results notoriously political and subject to bloc-voting. For many however, the inevitability of Greece and Cyprus awarding each other the maximum 12 points remains part of the Contest’s idiosyncratic charm. Past winners include Ukraine’s version of Xena, Warrior Princess (2004’s Ruslana) and a Finnish death-metal band clad in elaborate prosthetic masks (2006’s Lordi). Despite its inherent ridiculousness, several notable recording artists have begun their careers here, including ABBA and Celine Dion. Eurovision is also loved for its high-camp costumes and performances, making it a firm favorite with Europe’s LGBTQ community. The 2014 Contest was won for Austria by Conchita Wurst, a drag queen with a surname that means “sausage” in German. 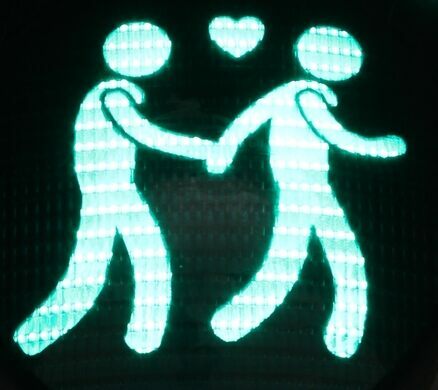 Thrilled by this success, and eager to welcome Europe to its capital in 2015, the Austrian authorities commissioned three new diversity pictograms for Vienna’s traffic lights. 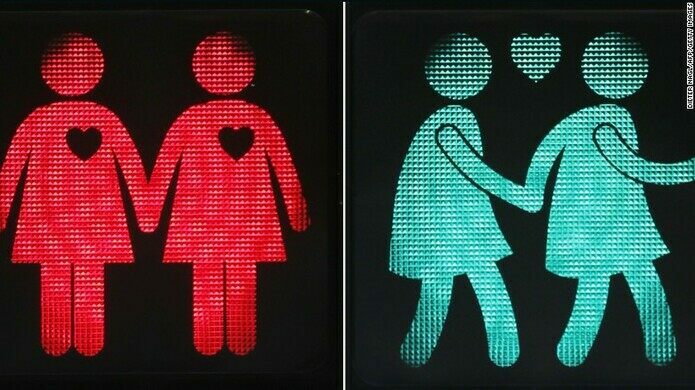 These Ampelparchen show three different paired figures (straight, gay, and lesbian), each holding hands and surrounded by hearts. Originally intended as temporary, a Facebook campaign led to them becoming permanent, and today they can be seen throughout the center of Vienna. Indeed, the Ampelparchen have been so well-received that cities as far afield as Salzburg, Utrecht, Munich, Cologne, Hamburg, and London have all installed their own versions. 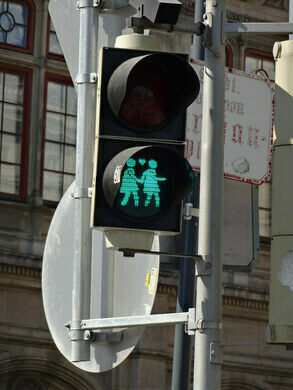 The Ampelparchen can be seen as pedestrian crossings throughout Vienna’s city center.